On Sunday afternoons during the months of September through January, odds are, someone you know is watching football. In fact, in the fall of 2015, twenty-six of the twenty-seven most-watched shows on television were football games. The one exception was the Republican primary, which was the thirteenth most-watched show over that time span. Football is, unquestionably, the king of all sports in America right now. One could argue that it is the most popular form of viewing entertainment, period. And it isn’t only professional football that is seeing a massive popularity boom. College football is just as popular (if not more popular) here in the South. Even on Saturday mornings, the lead story on The Jackson Sun’s phone app is usually a high school football game from the night before. Despite a lot of negative publicity about football (injuries, concussions, the violence of the game), the sport continues to thrive on every level it’s played. Jackson itself has been home to some successful football programs, players, and coaches. Trey Teague (University School of Jackson), Al Wilson (Jackson Central-Merry High School), Artis Hicks (also JCM), and Jacoby Jones (Lane College) all played football here in high school or college before having successful careers in the National Football League. Lambuth University had great success on the NAIA level when it was led by Vic Wallace. And Jackson Christian School won a Division II TSSAA state championship in 2006. Much like the rest of the country, football is king here as well. One of the premier football programs in Jackson over the last several years has been the North Side High School Indians. Led by Coach Tab Vowell, North Side made consistent runs deep into the playoffs nearly every year. Coach Vowell was the longest tenured public school football coach in Jackson before he resigned his position in the spring of 2016, leaving the head football coach position at North Side vacant. In April of 2016, North Side announced that Donnie Nickey would be their new head football coach. Coach Nickey isn’t your typical West Tennessee head football coach. 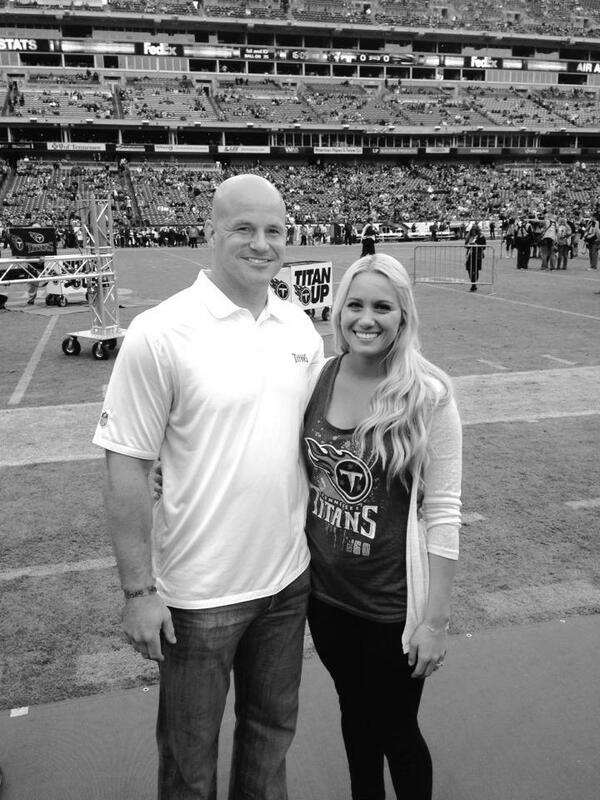 Before coming to Jackson, Nickey played eight years for the Tennessee Titans where he was voted special teams captain in 2009 and led the team in special teams tackles that same year. He played in ninety-five straight games for the Titans from 2004 to 2009, which is impressive considering the intensity and the amount of hitting that kickoffs and punt returns comprise. Before spending eight seasons with the Titans, Nickey played safety for The Ohio State University and capped his collegiate career by helping the Buckeyes to a National Championship win over Miami. I had a chance to sit down with Coach Nickey and ask him about his time in the NFL, his time so far in Jackson, and his plans for the North Side football program. Nickey was born in Akron, Ohio, and later moved with his family outside of Columbus, Ohio. “I went to school at a real small high school where football was huge,” Nickey said when describing his own high school football experience. “On Friday nights, everything shut down [for football games], and that was a big attraction.” Following his high school career, he attended The Ohio State University where he played four years for Jim Tressell. Nickey said he had a close relationship with Coach Tressell during his senior year at Ohio State. Despite the learning curve, Nickey excelled eight years in a sport where the average career only lasts 3.3 years. He was named a captain of the Titans’ special teams unit and led the unit tackles in 2009. After the 2010 season, the NFL changed the kick-off rules which, in turn, marginalized Nickey’s role on any team as a special teams player. He retired in 2011 and faced another transition, one that was much tougher than his entry into the league. Most of the time, the ending of an NFL player’s career is sudden and jarring. The ending isn’t necessarily pre-planned by the player or even his decision at all. Usually, the last player to realize that his career is over is the player himself. The finality of a career in the NFL is typically synonymous with rejection. After speaking with an assistant coach from the Minnesota Vikings about the new league kick-off rules and Nickey’s escalating salary as an eight-year veteran, he realized that his career was over, and he began the transition into retirement. “It was a disaster,” Nickey said. “I didn’t have anything to fall back on. Nobody really does. You don’t really have time to develop anything during your career. Unless you have a strong spiritual background or some intense counseling to untangle your identity from football, there are going to be major challeng- es. After five years of football at Ohio State and eight with the Titans, I had to untangle all of that.” Another challenge that Nickey said former players face is being relatively young and not having any skills that can transfer to life outside of football. “You’re thirty, and you have no skills to transfer. . . . All you’ve known is football. The only two skills that transfer are coaching and broadcasting.” Nickey chose coaching as a way to transition out of playing football. Or a better way to look at it is that it may have chosen him. Nickey’s wife, Katie, was a star athlete here in Jackson and attended the University School of Jackson. Katie played basketball, softball, and ran track. While attending an alumni game with Katie, Nickey spoke with USJ’s athletic director, Jody Evans, and inquired about helping with the football program. Katie was also looking toward Jackson and the prospect of opening a Pure Barre studio in town. Once that was finalized, Nickey arrived in town and helped USJ during the 2015 season. It was the first time he had fully committed to coaching, and he realized that coaching was something he wanted to do for a long time. “I get more of a rush on a Friday night and preparing for a Friday night than I did when I played,” he said. Nickey knows that anything of value takes time to create, which is one of several reasons he sees Jackson as a long-term home for his family. “We love it here,” he confessed. “We have two young kids, and it’s great for them. I’m five minutes from North Side (at the most). Katie’s five minutes from her work. You couldn’t do that in Nashville. It’s a much easier pace here.” The pace of Jackson is slower than that of Nashville, and the speed of a high school football game is much slower than the ones Nickey used to play in Nashville on Sunday afternoons, but he is more than ready for this next transition in his life. Football is unique in that it takes every player on the field doing his individual job on a given play. Each one of the eleven members of offense or defense have to execute their particular task in order for a play to have a great chance of success. That’s not necessarily the case in other sports. Every play on a football field is mapped and practiced before it is run in a game, and every person has their own responsibility in seeing the play through to its fruition. Our community isn’t much different. Once someone can find their job or their role, they can do it to the best of their ability to help other people thrive. Coach Nickey seems to have found his role here in Jackson, and this city and North Side should expect to see great things. Photography provided by Donnie Nickey.